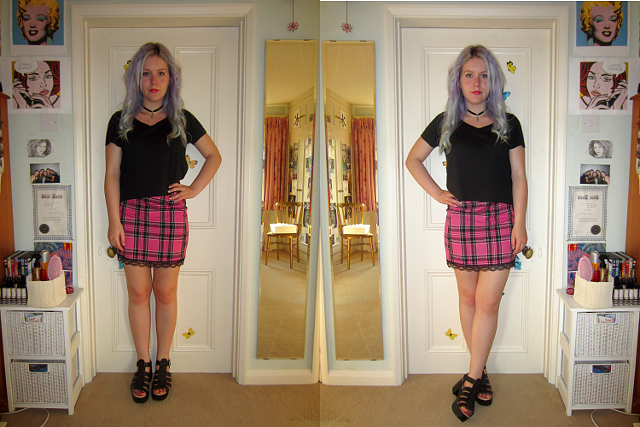 This is the pink Clueless-esque mini skirt I spoke about in a previous post, how cute is it? 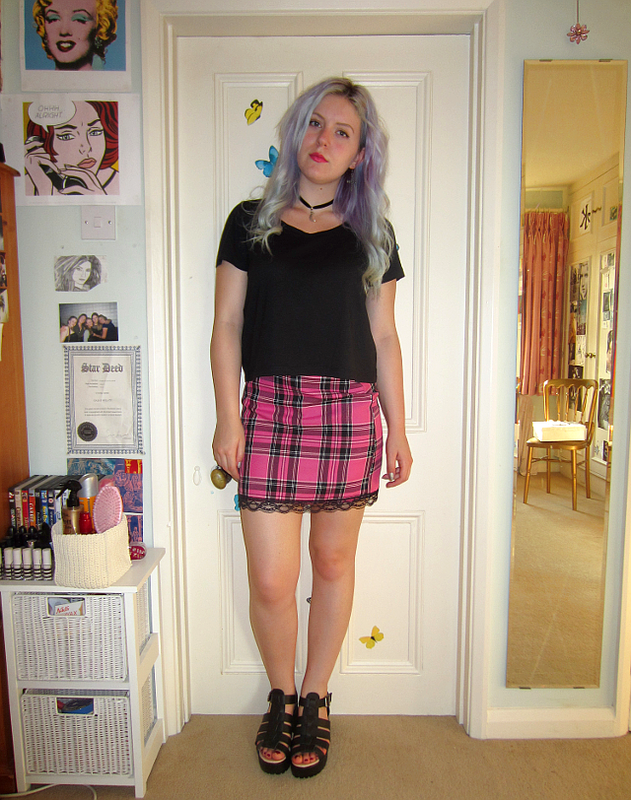 I got the same skirt in black and white too but the fit on it was awful although it was in the same size...also this one doesn't have a great fit either but the design is so cute and it was only £6! 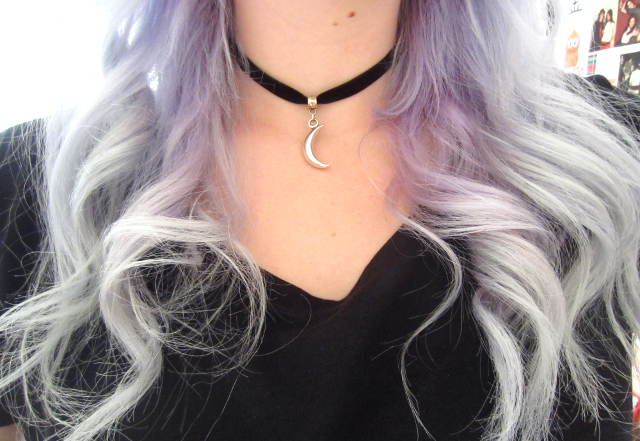 I wore this to go shopping with friends, picked up some really cute things from Topshop with a belated birthday voucher, including a crazy purple holographic make up bag and a mood stone choker which looks really 80s - can't wait to wear it! Cher would be so proud of you! As soon as I saw this look I thought of Clueless. That skirt is awesome!